We welcomed back Bendikt from Germany who also brought his sister Castanza along to see the U.S. They are currently staying with Mark Kranz and his family. They have a lot of plans to sight see, head to California and more. It's great to have him back to visit. 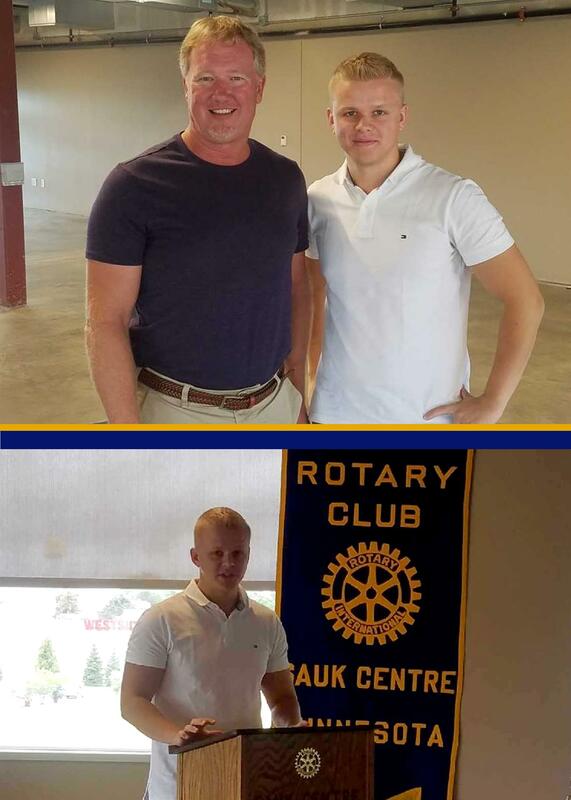 Benedikt was our exchange student a few years back and had graduated and is ready to pursue a career in law. Side note: He still LOVES hashbrowns! Pictured below with Mark Kranz.